::::,ノ,r''^y' ヾ'　｀ヽr'"~｀`''ヾミt、 ,;　｀゛`''　l! ,:r=＝=、、＿,,ノ"
ヽ　に　,:r＝'^'"（_　〈 ｀'iーァ''"　'^'ヽ、　ヽ.,,_,ィ"
=-イ! `ヽ、,`''-≧ァ'ー '"　ト、　i! /　,ィ ｀~‾´　l　ヽ.　l! 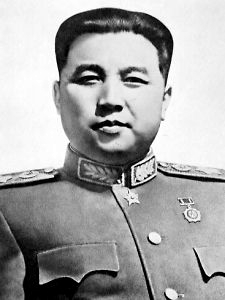 Hello I'm a student attenting the Beijing Military Academy of Sciences and I love Hearts of Iron 2 dispite its not-so-legal status here. I'ld like to help with this mod anyway I can, I'm taking programming as a side course in C++ and Linux tools. creating more effective Task Forces. mayhem amongst the enemy units. Use your bombers wisely though. stationary units in defence to retreating units and units in a fight. There are basically three elements to this patch. as well as removing exploits. Secondly, we've finetuned and balanced the game, to provide a richer experience. Thirdly, we've severly improved the AI to provide more challeging and rewarding gameplay. * The Front AI has been vastly improved. Expect to see much more of a challenge in attacking or defending. You want to make sure that your units org is high and use the principles of combined arms. * The production AI will now do a better job of fielding the latest technology units. * The Production Queue AI has been revamped for many countries to produce a better mix of units. In particular national asset units like transport planes and paratroopers are now built in moderation. *The AI now knows better how to concentrate and use its Naval Power creating more effective Task Forces. like the well known mismatch on serial production of province developments. * Revamped the cost and supply/oil usage of nearly every brigade to make them more worthwhile to build. You'll find that it's a good sport to build a mixed army more, instead of just plain infantry armies. * Beware of partisans now! They will be there. The partisans parameters were reworked and you'll actively have to suppress them in a number of areas. * King Winter is back in town and carries a big stick! Think twice before fighting long fights and carrying through big offensives in the heart of winter. especially those nifty panzers, cool trucks and halftracks with their frozen engines. * Close Air Support and Tactical Bombing can now cause alot more mayhem amongst the enemy units. ranging from bombing stationary units in defence to retreating units and units in a fight. - Fixed the crashbug with viewing navalunits stats when at sea. - Fixed the exploit which allowed unlimited resource convoys from puppets. - Puppets will no longer take control over their masters territory. - Fixed a problem where control of provinces sometimes was taken from a neutral. - The Soviet GDE problem has been fixed. - Improved AI for production slightly. - Nations liberated from events no longer gives you dissent hits. - Added a few pics that went missing. - Fixed the danish stand down ctd. - A puppet now has a max-pool of 1000 instead of 100 in resources.